On October 30, an indigenous protest took place as communities across the country took to the streets to demonstrate against the killings of social activists and demand that the government comply with the ethnic chapter of the peace agreement and other promises made to protect indigenous land rights. 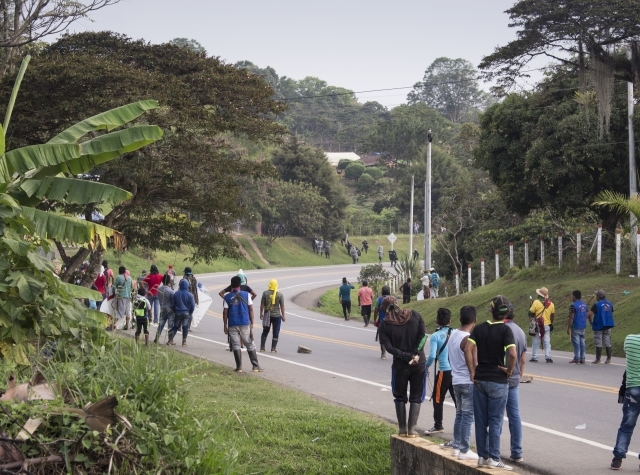 I disse dager har rundt 15 000 urfolk samlet seg i Monterilla, Cauca, for å demonstrere mot regjeringen. Samtidig oppstår det heftige konfrontasjoner mellom antiopprørspoliti og urfolk.